Your registration for the 2017 NAWEA Symposium comes with great training opportunities. We will be having several workshops / training sessions to a few popular wind energy related software. These trainings are free of cost (symposium registration is required) and you are encouraged to participate. Number of participants for each workshop is limited to the first 50 registrants. Registration is now open; you can select the workshops you would like to attend with your registration. Please find below brief descriptions of the workshops that are being offered, and do not hesitate to email us if you have any questions. In partnership with Iowa State University (ISU) and the National Renewable Energy Laboratory (NREL), a mini-workshop on the FAST wind turbine multi-physics engineering software tool (https://nwtc.nrel.gov/FAST) will be held on September 26, 2017, in Ames, Iowa (USA). The workshop will be held in conjunction with the North American Wind Energy Academy (NAWEA) 2017 Symposium taking place September 26-29 in Ames, Iowa. The workshop—to be led by Dr. Jason Jonkman of NREL—will provide an overview of FAST, recent developments, and the transition to an open-source developer community. To attend the FAST workshop, you must register for the NAWEA Symposium and indicate your desire to attend the workshop on the registration form. 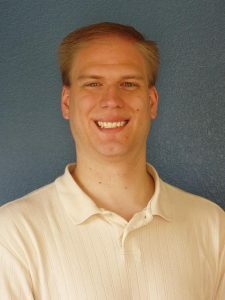 Jason Jonkman is a Senior Engineer at NREL, which he joined in 2000, and has led the development, verification, validation and application of the FAST multi-physics engineering tool for designing and analyzing land-based and offshore fixed and floating wind turbines. 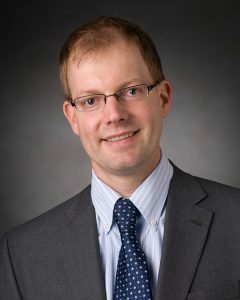 He is co-chairing an IEA Wind research task on developing, verifying, and validating simulation models for offshore wind turbines. He also is a U.S. representative on the IEC working group to develop an international technical specification for the design of floating offshore wind turbines. He is a principal investigator of a project to develop the new FAST.Farm engineering tool for wind farm design and analysis. 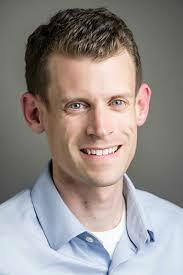 Jason Jonkman holds a Ph.D. in Aerospace Engineering Sciences from the University of Colorado. In partnership with Iowa State University (ISU) and the National Renewable Energy Laboratory (NREL), a mini-workshop on the Wind-Plant Integrated Systems Design and Engineering Model (WISDEM: https://wind.nrel.gov/WISDEM) will be held on September 29, 2017, in Ames, Iowa (USA). The workshop will be held in conjunction with the North American Wind Energy Academy (NAWEA) 2017 Symposium taking place September 26-29 in Ames, Iowa. The workshop—to be led by Dr. Katherine Dykes of NREL—will provide an overview of WISDEM, practice with WISDEM applied to a wind turbine and plant optimization problem, and discussion of how to integrate models with WISDEM using the FUSED-Wind framework (jointly developed by DTU Wind Energy and NREL with contributions from several organizations). To attend the WISDEM workshop, you must register for the NAWEA Symposium and indicate your desire to attend the workshop on the registration form. Katherine Dykes is the Senior Engineer at National Renewable Energy Laboratories (NREL). Katherine joined NREL in 2011 to lead an NREL initiative for systems engineering methods applied to wind energy. The project is undergoing initial development and involves integrating engineering and cost-based analysis tools to analyze overall wind energy system performance. Katherine’s PhD work in systems engineering involved understanding innovation and diffusion of wind energy technology. Her background in wind energy began while working as a wind program analyst for Green Energy Ohio in 2005 and as a data analyst for The Renaissance Group. In addition to wind energy, Katherine has worked as a system dynamics consultant to IBM’s Smarter Cities Marketing Insights 2.0 initiative, a data quality analyst at EnerNOC for their demand management program, and as a controls engineer for GM’s Hybrid Vehicle Program. Katherine holds a PhD from Massachusetts Institute of Technology. She received an MS in Electrical Engineering and an MS AED in Economics from The Ohio State University. Prior to that, she received a BS in Electrical Engineering and a BS in Economics from the University of Pennsylvania. The Simulator fOr Wind Farm Applications (SOWFA) is an open-source high-fidelity wind-plant simulation tool created at the National Renewable Energy Laboratory (NREL). It is predominantly used to compute the turbulent atmospheric inflow with large-eddy simulation. The full wind plant immersed in this atmospheric flow can then be modeled using actuator line or disk rotor models coupled with NREL’s FAST turbine simulator. Additionally, mesoscale weather information can be used to influence the microscale atmospheric inflow. SOWFA is built upon the open-source OpenFOAM CFD toolbox. This workshop will introduce the underlying theory and numerics of SOWFA, give instruction on how to obtain and compile the code, and cover some example cases. This workshop is meant to inform those considering using SOWFA, and enhance the knowledge of beginner users. NREL and Sandia National Laboratories is also jointly developing a new, open-source, high-fidelity wind-plant simulation tool called NaluCFD. The functionality of NaluCFD will be similar to that of SOWFA, but the tool will be scalable to tens or hundreds of thousands of cores, has an eye toward future computer architectures, will support high-order numerics, and may be better suited for blade-resolved wind turbine simulation. Although, the focus of this workshop is SOWFA, a summary of NaluCFD, its core features, and its development timeline will be given. Matt Churchfield is a senior engineer at the National Wind Technology Center within the National Renewable Energy Laboratory. He began his career at NREL eight years ago as a postdoctoral researcher. His main focus is wind plant aerodynamics. Matt is especially interested in wake-atmosphere interaction, wind plant control, and the coupling of mesoscale and microscale weather. He holds a Ph.D. and M.S. in aeronautical engineering from Purdue University and a B.S. In Mechanical Engineering from the University of Nevada, Reno. A basic training workshop for the XTurb wind turbine design and analysis tool (https://www.e-education.psu.edu/aersp583/) will be held at the NAWEA 2017 Symposium on September 26th 2017 in partnership with the Iowa State University (ISU). An efficient input structure for blade parameters in conjunction with design, analysis, and prediction modes. Interested in the XTurb training workshop? Please indicate your desire to attend the workshop on the registration form.